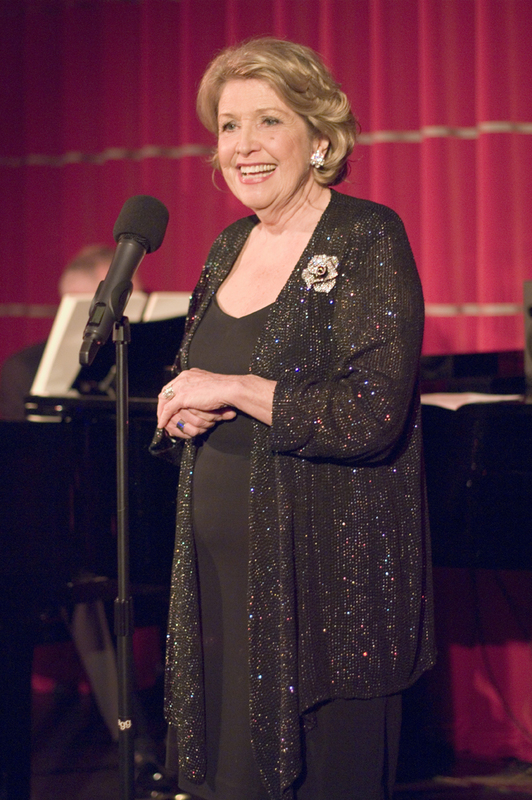 Read my latest cabaret review of Anne Reid‘s opening night of her show ‘In A New Key’ at The Crazy Coqs. 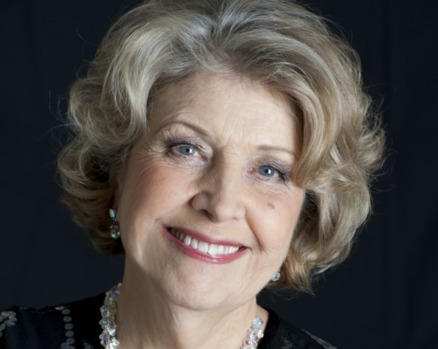 Cabaret is still a very new departure for actress Anne Reid, well known for her performances in Coronation Street (where she was famously electrocuted by a hairdryer), Dinner Ladies and numerous other TV dramas and films. Opening night of her show ‘In A New Key’ at The Crazy Coqs was only the 6th time she has ever performed cabaret, it being the fulfilment of a lifelong ambition, much encouraged by the legendary American artist Barbara Cooke. She opened with Hoffman and Goodhart’s ‘Fit as a Fiddle’ to a warm reception, and went on to tell us some of her many funny and touching stories of wartime childhood, and life on stage and screen. Apparently, her house was bombed in World War ll, but unlike for the unfortunate family at the other end of the street, the bomb in Anne’s house failed to explode. Her mother was nevertheless put out at having to evacuate the building at 3 o’clock in the morning by a somewhat sardonic official. Once dismantled, the bomb was presented as a gift and kept in the shed as a souvenir. Anne’s gifts for empathy and humour extend to her choice of and interpretation of songs, too. In a particularly unusual array of material, there are some gentle comic touches with ‘The Very Next Man’ and ‘Gentleman Friend’, and an especially funny version of Rudge’s and Zwar’s ‘Robert the Robot’. Whilst not a singer’s singer, and much of the material spoken-sung, this is a very nuanced performance, with every line laden with meaning. Her story-telling skills are particularly borne out in her choices of Sondheim’s work, including ‘Sand’ and ‘I Wouldn’t Change a Thing’, which segues into Jerry Herman’s beautifully wistful and romantic ‘Ribbons Down My Back’, providing lovely change of mood. Other standout items were her most moving and personal interpretations of Amanda McBroom’s ‘Errol Flynn’ and Marvyn Hamlish’s ‘The Way We Were’, rendered almost as spoken verse. The show is very well constructed, with a satisfying emotional arc, anecdotes well placed and the patter easy and natural, leading seamlessly to the next song. She is also expertly supported by pianist Stuart Hutchinson who provides additional vocals. In her first foray into this most personal and exposing artform, here was an assured performance. She is comfortable to stay still and present on stage, with no gimmicks, and displays that rare gift of helping the audience feel safe, whilst she herself appears without a mask, sharing her vulnerability. Many experienced performers could learn from her. This entry was posted in Cabaret Reviews and tagged Anne Reid, cabaret, cabaret reviews London, Crazy Coqs, fiona jane weston, London cabaret, Stuart Hutchinson. Bookmark the permalink.